Keep hands beautifully cleansed with this mild and gentle formulation that is non-drying and kind to skin. 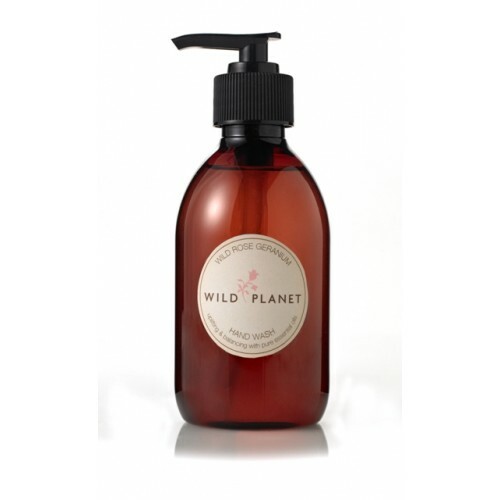 Blended with organic rose geranium essential oil with rejuvenating and hydrating properties. With moisturising organic sunflower and coconut oils. Aqua (Water), Potassium Cocoate (derived from Coconut oil*), Potassium Oleate (derived from Sunflower oil*), Lauryl Betaine, Glycerin*, Benzyl Alcohol, Potassium Palm Kernelate, Palm Kernel Acid, Decyl Glucoside, Potassium Citrate, Pelargonium Graveolens (Rose Geranium*) oil, Cymbopogon Martini (Palmarosa*) oil,Citronellol**, Geraniol**, Linalool**, Citral**, Farnesol, Limonene**. *certified organic, **occur naturally in essential oils.